SkyPath is a proposed cycleway and pedestrian route from Northcote Point on the North Shore, to Westhaven in the city. It’s been under discussion for ten years. Resource consent was granted at the end of 2016 and last August the Government announced it would fully fund the $67 million project. 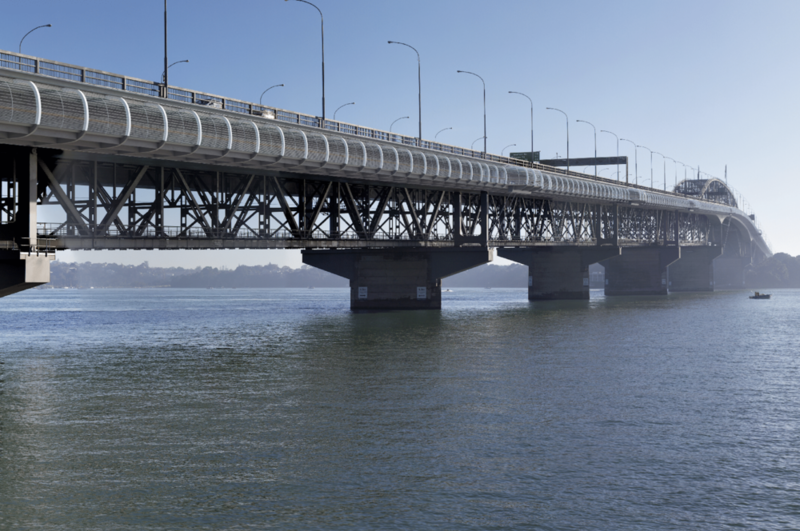 An independent investigation is underway amid a row between tbe SkyPath Trust and the NZTA. The first public signs of tension between the transport agency and the SkyPath Trust, which ran the project until the agency took it over, came earlier this year with a spat over intellectual property rights. The trust wants over one and a half million dollars for its intellectual property to compensate for the work it had put into it. But it says the agency has gone quiet on buying those rights. SkyPath has been under discussion for a decade. But the trust insists the agency has had access to the design plans for years. Chair Christine Rose says a 2013 agency memo stated the SkyPath concept had been tested by engineers and was feasible. Christine Rose welcomes the review but hopes it will be over quickly. "We take this investigation in good faith," she said. "It's a shame that it has come to this but we welcome the opportunity to progress the SkyPath project with NZTA for the benefit of all Aucklanders." SkyPath Trust project director Bevan Woodward said he hoped the investigation would be a breakthrough to enable Aucklanders to be walking and cycling across their bridge by 2021.